The above info came from Bijou-chan, and was edited by yours truly (contact me). The image came from beepworld. 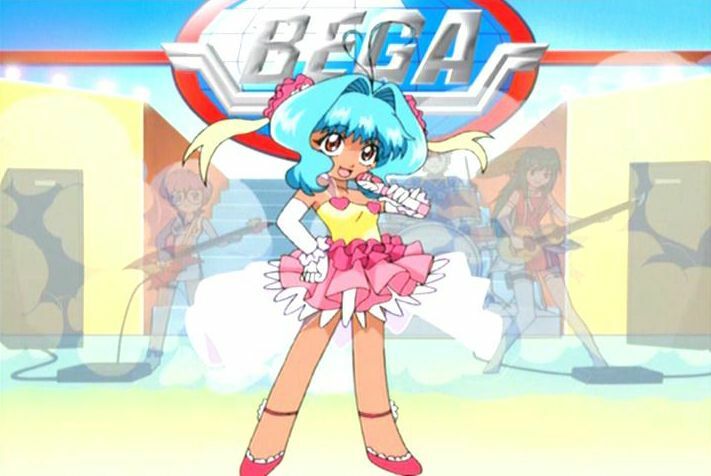 Ming Ming is a popular singer, Beyblader, and spokesperson for BEGA. She's a sickly sweet, happy-go-lucky girl who's popular with the boys but has a dual personality. 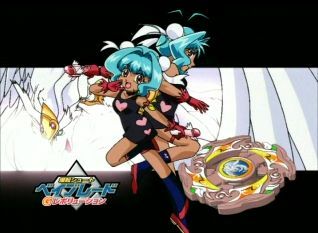 Her older form is the one who Bey battles and expresses Ming-Ming's bad emotions. People say she sings during a match to knock her opponents concentration - but it's for her own concentration benefit. The above description came from Bijou-chan, and was edited by yours truly (contact me).